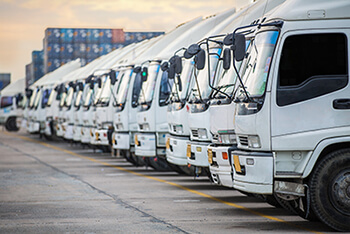 Fleet trucks are a crucial part of your business. They need to run well every day to maximize profitability. 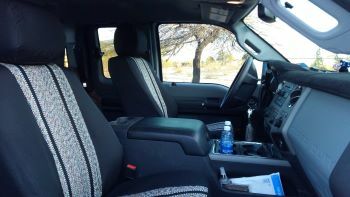 Part of a well-running fleet is maintenance and part of that maintenance includes your trucks’ interior and upholstery. Having your trucks serviced for upholstery cleaning or repair can cost you both time and money. 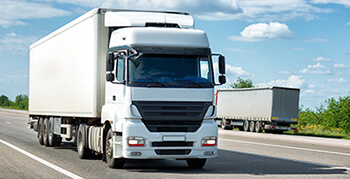 To help reduce these costs, equip your trucks with fleet seat covers. Seat covers will significantly reduce upholstery wear and damage that occurs as a result of industry use. 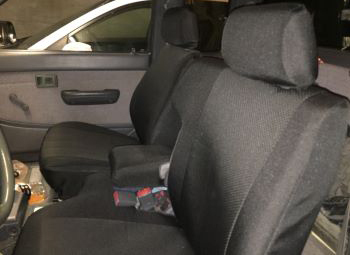 There are a number of great products out there and we’ve compiled a short list of our most durable, high-wearing fleet seat covers to help you figure out what you need. When your fleet needs strong, high-wearing and waterproof seat covers, one of the materials to consider is CORDURA™. We use this branded fabric to make our commercial truck seat covers because the tightly woven fabric is extremely durable and will stand up against the type of abuse industry work can cause to your trucks’ interiors. 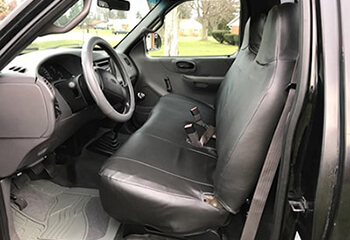 Our CORDURA™ Seat Covers are not only waterproof and will protect your fleets trucks from spills and stains, but this material is also abrasion resistant protecting your seats from tears caused by heavy or sharps tools. Additionally, the custom nature of the product means you’ll be getting a product that fits well and looks good on all of your fleet trucks. Another product that is geared toward industry use is our Atomic Pro-Tect Seat Covers. As these commercial seat covers are made of an automotive grade polyester with polyurethane waterproof coatings, your fleet will have maximum protection against all industry uses. As with all of our seat covers, this material is UV protected making it fade resistant. Installing seat covers on the existing upholstery of your fleet will reduce fading and damage from occurring. This is extremely important for leased fleets and will help with your return on investment when trading them back in. Our Pro-Tect Vinyl Seat Covers are great for construction fleets and farming trucks. The high-wearing automotive Vinyl is extremely durable, stain resistant, and wear resistant. This industrial fabric will protect your seats from tearing and keep them clean. As a result this means you’ll have less downtime for cleaning and maintenance. Moreover, this saves your business money long term. Fleet trucks can have excessive wear and tear, which causes damage to the original upholstery. This can cost you an arm and a leg when trading in your fleet trucks. 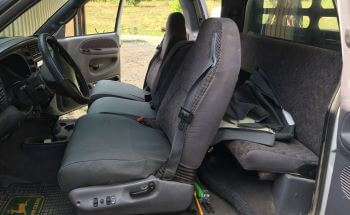 Having commercial seat covers on to stop this damage from ever happening will benefit when trading in. Pro-Tect Vinyl Seat Covers are a great lower priced option for those that want “no frills” and all around protective seat covers. These custom slip over seat covers not keep your fleet clean, they give them a clean look too. This heavy weight cloth material gives you the protection you need while still offering a bit more comfort than other industrial fabrics. The western style Saddle Blanket Seat Covers are a tightly woven material that will keep dust and dirt from ever reaching your trucks’ upholstery. They are extremely easy to maintain and clean. Once installed, your fleet trucks will be fully protected from water, dust, dirt and other debris that comes with the territory. All of our custom seat covers, including our Saddle Blanket Seat Covers, accomodate all seat features. We make all of the necessary cut outs and alterations for lumbar knobs, latches and safety features such as integrated seat belts and side impact airbags. Just because these are your work trucks doesn’t mean you can’t customize them with your favorite Camo pattern! 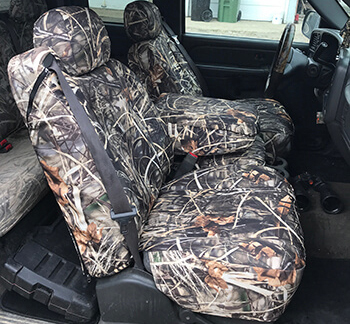 Realtree Camo Seat Covers give you both protection and style for your fleet. You can choose from many of the popular patterns like AP, Max 4, Max 5 or Snow to complement all interiors and personal tastes. You don’t want to have to worry about the your trucks’ interiors when your employees are working hard to get the project done or complete their service in a cost-efficient time. 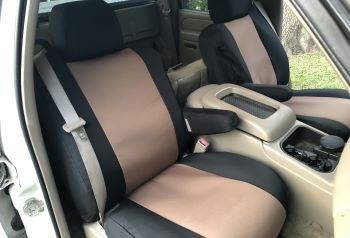 Having seat covers on your fleet trucks will decrease your worry and increase your ROI due to less downtime for interior maintenance and a higher turn in value for leasing or more profit upon selling.